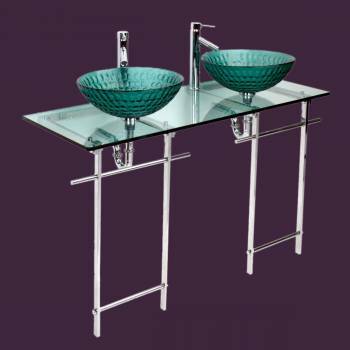 Glass Sinks: This tempered glass sink package includes basins, counter, faucets, drains and stainless steel towel bars. This is exactly how to marry classic vintage charm with modern art! 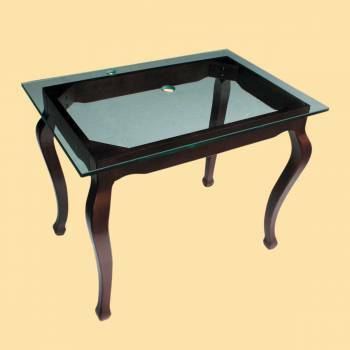 Modern tempered glass top rests upon a classic hardwood provincial leg vanity. Mix and match a glass vessel sink or vitreous china sink of your choice (not included). Accepts single hole faucet (not included).